The Brakes on your car are one of the most important service parts of your vehicle, without these in good working order you may not be able to stop safely. There are several problems that can arise with your braking system making them inefficient or dangerous and at Crocker Street Tyres & Mot we can do everything you need at a price affordable to you, to return your braking system to perfect working order. 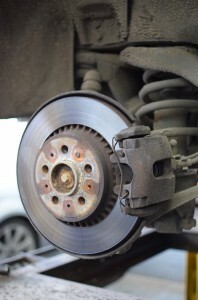 Your brakes are part of the MOT test we provide, we will check all aspects of your braking system and our technicians will report back to you with any problems they may find.